429, Lot: 462. Closing Sep 26, 2018 at 12:34:00 PM ET. TUDOR. Elizabeth I. 1558-1603. AR Halfpenny (10mm, 0.23 g). Sixth issue. Tower (London) mint; im: key. 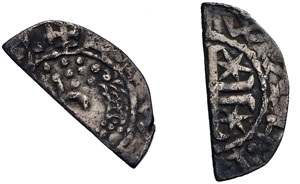 Struck 1595-1598. 429, Lot: 478. Closing Sep 26, 2018 at 12:39:20 PM ET. STUART. Charles I. 1625-1649. AR Halfcrown (33.5mm, 14.70 g, 1h). Group III, type 4. Tower (London) mint; im: (R). Struck under Parliament, 1644-1645. 429, Lot: 499. Closing Sep 26, 2018 at 12:46:20 PM ET. STUART. Charles I. 1625-1649. AR Threepence (18.5mm, 1.34 g, 9h). Aberystwyth mint; im: book. Struck 1638/9-1642. 429, Lot: 535. Closing Sep 26, 2018 at 12:58:20 PM ET. SCOTLAND. William I 'the Lion'. 1165-1214. Cut AR Halfpenny (17.5mm, 0.63 g). Third (Short Cross & Stars) coinage, phase B. Edinburgh or Perth mint; Hue and Walter, moneyers. Struck circa 1205-1230. 429, Lot: 547. Closing Sep 26, 2018 at 1:02:20 PM ET. SCOTLAND. Alexander III. 1249-1286. AR Halfpenny (14mm, 0.58 g, 2h). Second coinage. Uncertain mint. Struck circa 1280-1286. 429, Lot: 551. Closing Sep 26, 2018 at 1:03:40 PM ET. SCOTLAND. David II. 1329-1371. AR Penny (17.5mm, 0.88 g, 3h). First coinage, Second issue. Edinburgh(?) mint. Struck 1351-1357. 429, Lot: 624. Closing Sep 26, 2018 at 1:28:00 PM ET. SCOTLAND. James VI. 1567-1625. 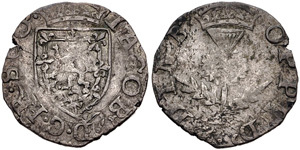 AR Quarter thistle merk (21mm, 1.51 g, 12h). Eighth coinage. Edinburgh mint. Dated 1602. 429, Lot: 625. Closing Sep 26, 2018 at 1:28:20 PM ET. SCOTLAND. James VI. 1567-1625. AR Eighth thistle merk (16mm, 0.61 g, 1h). Eighth coinage. Edinburgh mint. Dated 1602. 429, Lot: 630. Closing Sep 26, 2018 at 1:30:00 PM ET. SCOTLAND. James VI. 1567-1625. BI Eightpenny groat (20mm, 1.20 g, 5h). Edinburgh mint. 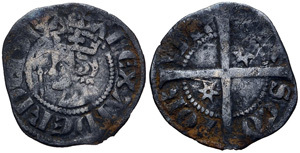 Struck 1583-1590. 429, Lot: 631. Closing Sep 26, 2018 at 1:30:20 PM ET. SCOTLAND. James VI. 1567-1625. BI Eightpenny groat (20mm, 1.20 g, 10h). Edinburgh mint. 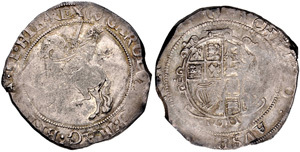 Struck 1583-1590. 429, Lot: 645. Closing Sep 26, 2018 at 1:35:00 PM ET. SCOTLAND. Charles I. 1625-1649. AR Twenty Pence (15.5mm, 0.82 g, 10h). Third coinage, Briot’s issue, type I. Edinburgh mint; im: B. Struck 1637-1642. 429, Lot: 646. Closing Sep 26, 2018 at 1:35:20 PM ET. SCOTLAND. Charles I. 1625-1649. AR Twenty pence (16mm, 0.77 g, 6h). Third coinage, Briot’s issue, type I. Edinburgh mint; im: B. Struck circa 1637-1642. 429, Lot: 688. Closing Sep 26, 2018 at 1:49:20 PM ET. SCOTLAND. William II (III of England). 1694-1702. AR Twenty Shillings (30mm, 8.84 g, 12h). Edinburgh mint. Dated 1698/7.